Did you know that according to U.S. Energy Information Administration the total energy consumed was about 98 quadrillion BTUs. 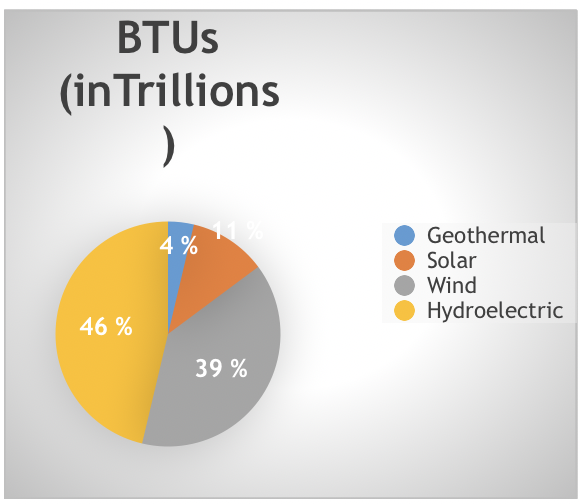 Of that about 6.5% was attributed to renewable clean energy sources (excluding Bio-mass). This represents about 7 quadrillion BTUs. The percentage attributed for watch clean source is shown in the graph below. Although this remains a small amount in the overall picture it is by far the fastest growing sector. For Electricity the total generated in U.S. has been relatively flat. If you factor in the growth in the economy there is clear evidence of underlying improvement in efficiencies in electricity utilization. This is a good story! The Clean Energy component ( Geothermal, Hydrolectric, Wind and Solar) has increased during this period and shows no sign of slowing down. 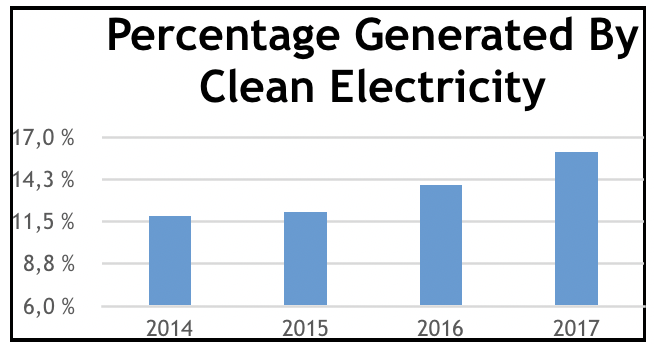 For 2017 alone the avoided CO2 emissions by using Clean Energy in the U.S. was about 306 million metric tons! Small, but not insignificant in the fight to balance environmental concerns. More to be done for sure. Solar electricity is still in its infancy and given the investment in this sector we should see exponential increases over the next five years particularly if cosmetic obstacles are reduced by embedding this technology in our existing infrastructure and landscape.